STRUMIS is showcasing its fabrication management information software solutions at Booth #827 at NASCC: The Steel Conference 2016, with a number of new innovations for the steel fabrication industry! STRUMIS is showcasing its fabrication management information software solutions at Booth #827 at NASCC: The Steel Conference 2016, bringing BIG NEWS to NASCC! 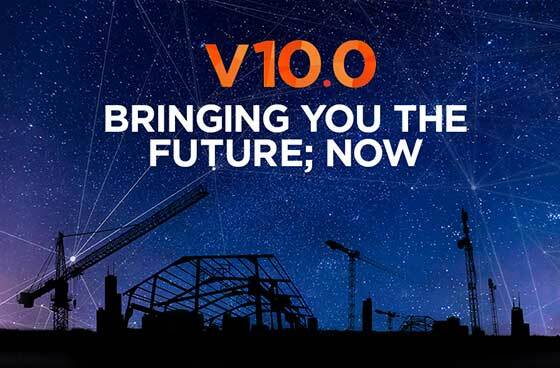 On April 13th-15th, STRUMIS will be officially launching its eagerly anticipated V10 MIS which builds on the benchmark with a host of brilliant NEW features that are only being talked about by others. To discover what all the excitement is about, join us at booth #827 and invest just 10 minutes of your time - and we will reveal to you ‘the future of specialist steel MIS - today’. WIN an Apple Watch and other prizes. To thank you for your valuable time, we’ll then enter you into our NASCC drawing to WIN one of 2 amazing Apple Watches we’re giving away (plus other prizes). STRUMIS will also be hosting two unmissable workshops at this year’s show. If you’re unfamiliar with STRUMIS our first workshop, on Thursday, gives you a complete overview of the system, and demonstrates why it is regarded globally as the best specialist MIS solution on the market today. The second workshop (on Friday) drills down on one of V10’s most talked about new benefits – mobile apps. Available on iPhone, Android and Windows platforms, this functionality is totally unique to STRUMIS and brings many business advantages from speed and ease of communication, to reach (stay connected on-site) and traceability / tracking. Integration, Mobility, Production Control, Estimating Speed. STRUMIS is the complete software system for every steel fabrication company; with STRUMIS you gain the control to optimize material and labor resources, and reduce production time and overhead costs for greater efficiencies, traceability, productivity and profitability in every step of the steel fabrication process. STRUMIS’ tailored mobile options give you easy access to information and data from anywhere, on any type of device, as the best solution to suit your specific needs. Available on iPhone, Android and Windows devices, STRUMIS mobile app is usable on and off line providing you with the ability to update all users in real-time, ideal for use on-site. STRUMIS also offers integrated Bar-coding to address full traceability & tracking needs of Steel Fabricators. Come see why STRUMIS is the easy to learn, easy to use leading technology for steel fabricators. To attend, simply email marketing@strumis.com and reference NASCC Seminar or visit the STRUMIS Booth #827 for details. This one is on us! Click here to download and claim your one day FREE Exhibit Hall Pass. The STRUMIS Team looks forward to seeing you at NASCC 2016 for yet another successful Show! The NASCC Steel Conference offers technical seminars and an extensive trade show featuring products ranging from structural management information software to machinery and ample networking opportunities. NASCC is attended by more than 3,700 industry professionals who come to find out what’s new in the industry, who’s got it, and how it can work for them. NASCC is considered a "must visit" by anyone engaged in the steel fabrication industry.